Steam’s had a problem with “fake games” since opening the floodgates on the store, with loads of low-effort titles hitting the service with promises of free achievements and easy access to trading cards. Valve’s made changes in the past designed to combat that those titles, and now the company has announced even more measures to address the issue. Valve keeps an internal confidence metric on unknown titles, and that metric will now apply to both achievements and the game’s contribution to your Steam game library count. Games which haven’t reached the appropriate confidence rating will be limited to 100 achievements, won’t contribute to your overall achievement count, and won’t add to the displayed number of games you own on Steam. They’re real – check out the best free games on Steam. On games which haven’t yet met the required confidence, a message labeled “Steam is learning about this game” will now appear in the features list of that title’s store page. (Here’s a current exampleof a game still pending approval.) When moused over, that message lays out all the restrictions detailed above. 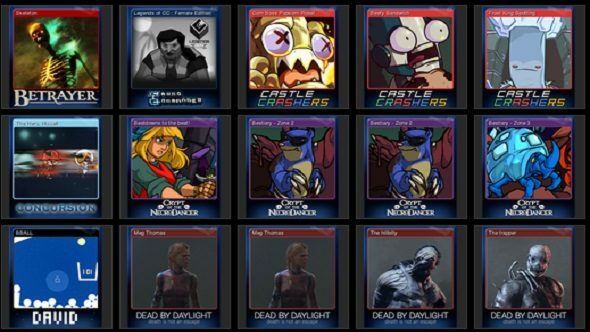 The confidence metric was introduced last year, to ensure only “legitimate games” would get Steam trading cards. Whole publishers, like Silicon Echo Studios, have seen their titles removed from Steam in an effort to combat fake games, though it’s unclear what will become of titles that don’t eventually meet these metrics under Valve’s current rules.